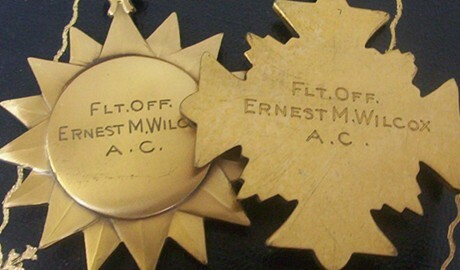 Below are assorted images of American medals illustrating original period naming & numbering styles. 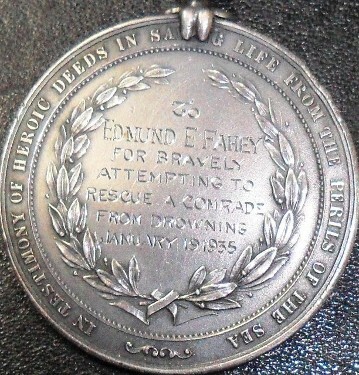 The attempt is more a photo essay than text. 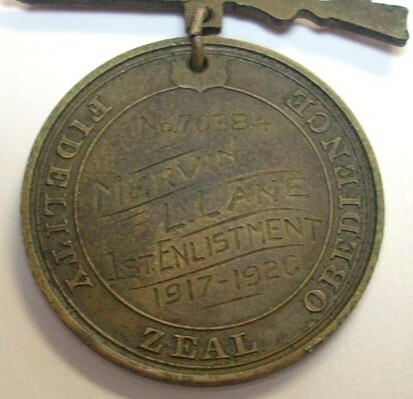 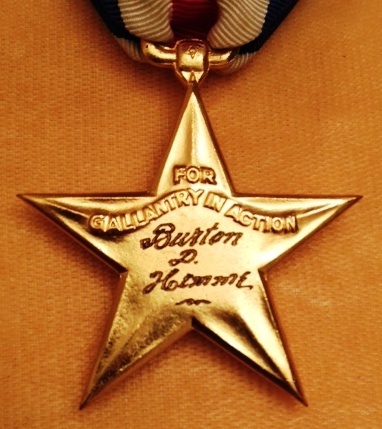 US Army Campaign medal M.No. 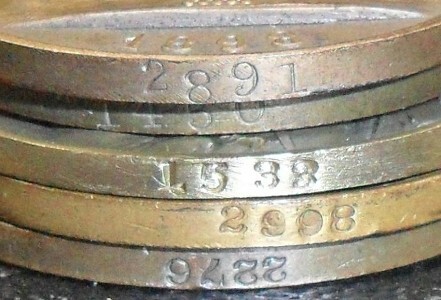 prefix numbering. 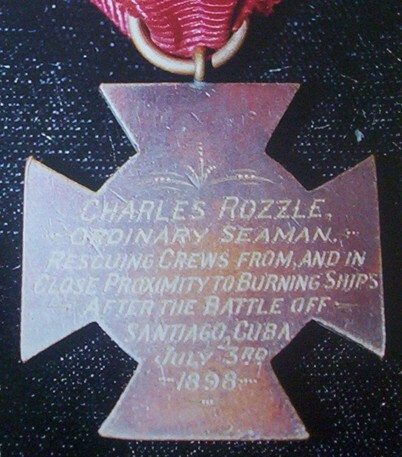 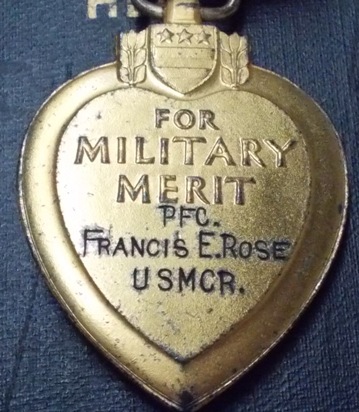 In 1908 the U.S. Navy established the awarding of campaign medals for USN & USMC service. 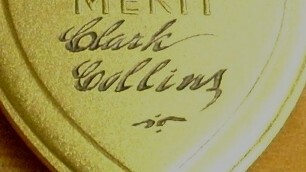 The Army had chosen the U.S. Mint to produce its medals, the Navy contracted with Bailey, Banks & Biddle of Philadelphia. 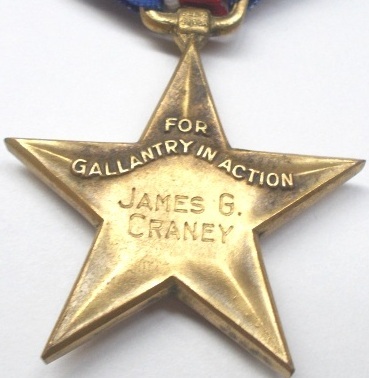 The campaign medals have a common reverse the title “United States Navy” or “United States Marine Corps” an eagle & anchor motif and curved title "For Service". 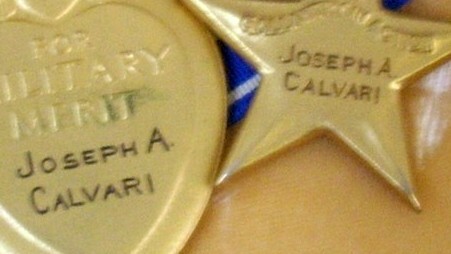 These awards were numbered on the rim at 6:00. 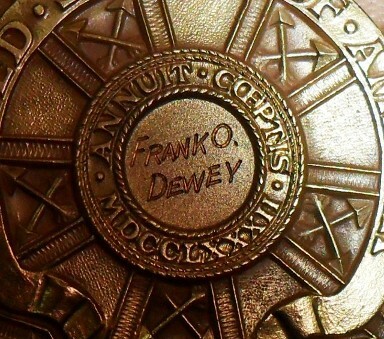 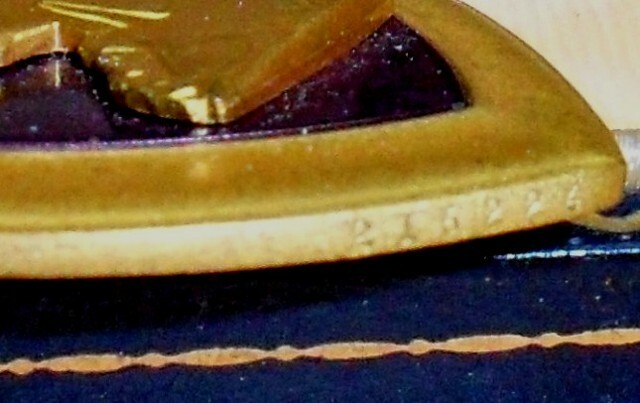 US Navy Civil War Campaign medal numbering and rim engraving. 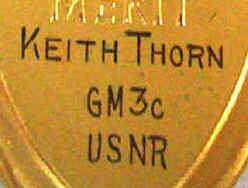 Officially done by order of the Navy. 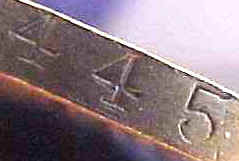 Typically slanted capitals done on either side of the number. 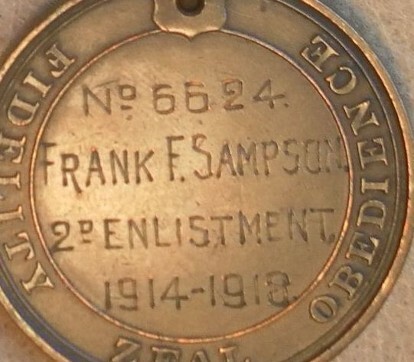 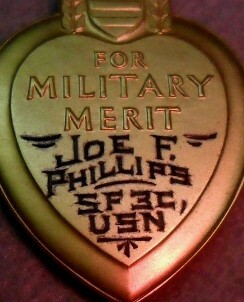 1930's Purple Heart hand engraved naming as issued to WWI (and earlier) recipients. 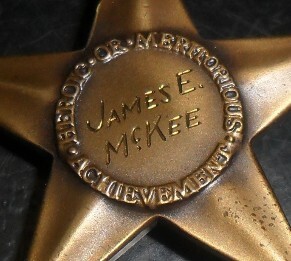 1930's Silver Star hand engraved naming as issued to WWI & pre-war recipients. 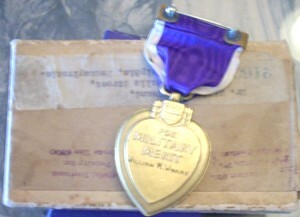 WWI Purple Heart 1932 issue; the medal, shipping box, and medal box. 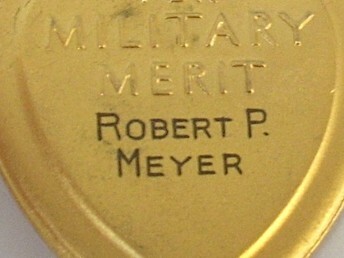 Typical WWII US Army hand engraved medals. 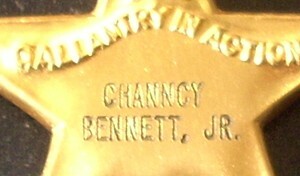 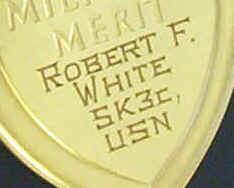 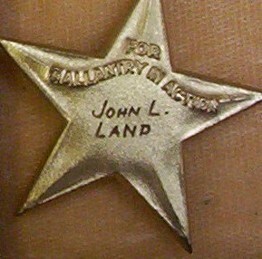 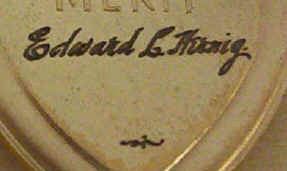 Slanted italics hand engraving, typical for WWII Silver Stars, Legion of Merits & Bronze Stars. 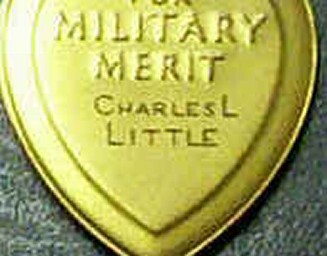 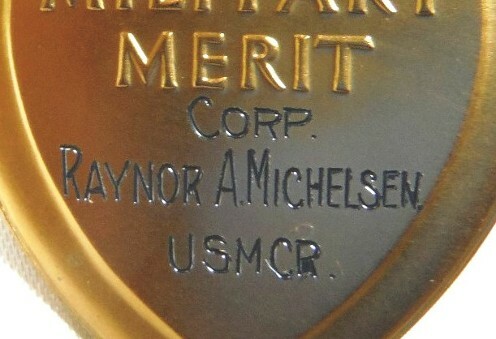 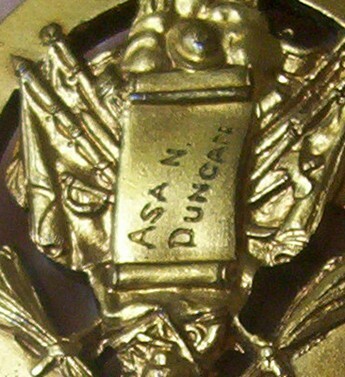 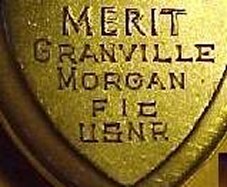 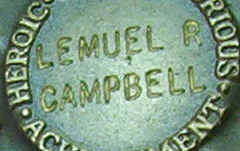 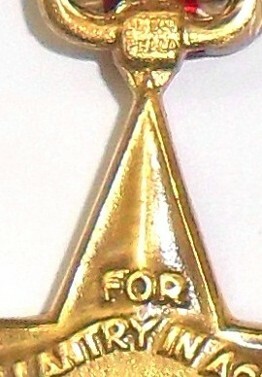 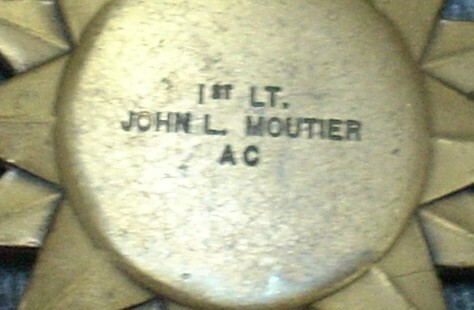 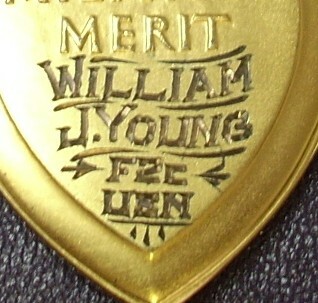 Below shows circa 1948 pattern script engraving as seen on awards sent out shortly after the wars end such as CIB conversion Bronze Stars, late war MIA's, and WIA medals applied for after the vet was discharged. 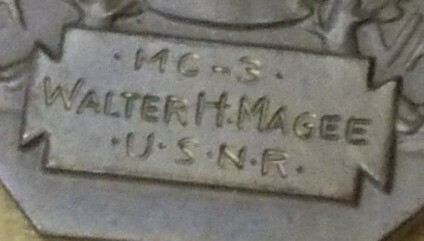 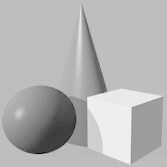 Early WWII pattern official USN engraving.